Lauded as the “New century’s new talent, [one of] the stars of the next decade” by The Strad, Roland Glassl is a violist of great dynamism and unparalleled versatility. Mr. Glassl was the first German to win the first prize at the 1997 Lionel Tertis International Viola Competition in England, where he was also awarded the Peter Schidlof Prize as the finalist with the most beautiful tone. 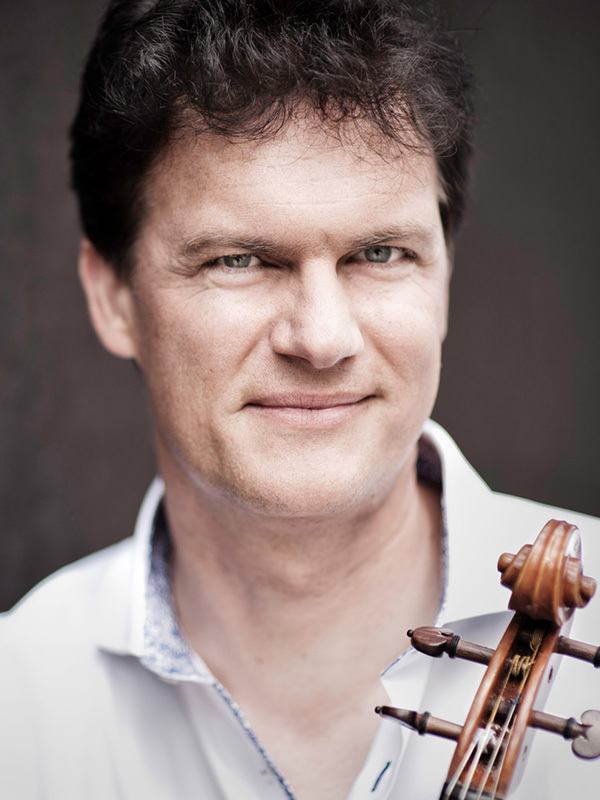 He also received the top prize at the 1998 International Viola Competition (OESTIG) in Vienna, first prize at the 1999 Viola Competition of the German Viola Society, second prize at the 1999 Primrose International Viola Competition, and first prize at the 2000 Washington International Competition for Strings. As a soloist, Mr. Glassl has worked with prominent conductors such as Sir Colin Davis, Howard Griffiths, Hans Richter, Markus Poschner, Alfred Eschwé, and Julius Karr‐Bertoli, and he has performed with orchestras such as the Tonkünstler‐Orchester Niederösterreich, the China National Opera House Symphony Orchestra, the Georgian Chamber Orchestra, the German Philharmonic Orchestra Rhineland‐Palatinate, the Pécs Symphony Orchestra, the Istanbul State Symphony Orchestra, and the Prague Chamber Orchestra. Concert tours have taken him throughout Europe, North America, South America, and China. An active chamber musician, Mr. Glassl has collaborated with many leading artists, including Julia Fischer, Michael Sanderling, Lisa Batiashvili, Miriam Fried, Pekka Kuusisto, Sharon Kam, Atar Arad, Leon Fleischer, and Michael Tree. From 1999 to 2015, Mr. Glassl was the violist of the Mandelring Quartet, recognized today as one of the foremost quartets in the world. The Quartet has received numerous awards for their CD recordings and has performed in virtually all of the major chamber music halls across the globe. Since 2004, Mr. Glassl has been Professor of Viola at the Hochschule für Musik und Darstellende Künste Frankfurt as successor to Tabea Zimmermann.